“I am deeply concerned about the egregious inadequacy of Sony’s efforts thus far to notify its customers of these breaches or to provide adequate protections for users whose personal and financial information may have been compromised,” he said. It follows Sony’s admission on Monday that 25 million personal details had been taken from Sony Online Entertainment, on top of the 77 million stolen from the PlayStation Network. A database of around 23,400 Sony Online Entertainment customers’ credit card or direct debit details may also have been taken. Both breaches occurred between 16 and 20 April and are thought to be the work of the same individual or group. The Sony Online Entertainment theft was only detected at the weekend as investigators trawled for traces of the PlayStation Network hackers, however Mr Blumenthal said that “Sony’s failure to adequately warn its customers about serious security risks is simply unconscionable and unacceptable”. Sony did not immediately respond to the letter, and Mr Blumenthal said it had not responded to his first letter of 26 April. Separately, Sony said it had employed three outside security firms to help with its investigation. Guidance Software and Data Forte are experts in digital forensics, and Protiviti specialises in risk auditing. 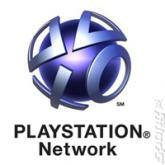 Both the PlayStation Network and Sony Online Entertainment were shut down when each theft was detected. Sony apologised and said engineers were working to improve security. Last week it said the PlayStation Network would return this week.